Two horses pulling a plow at the International Plowing Match. 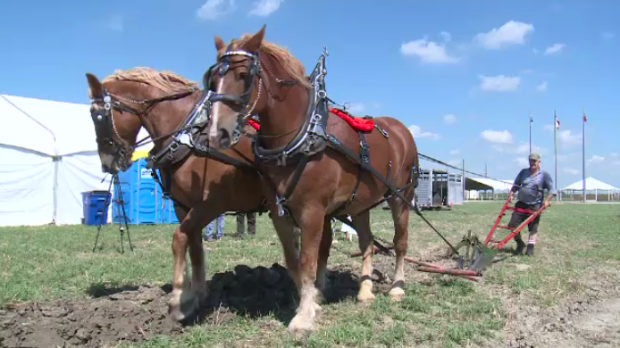 The International Plowing Match and Rural Expo is set to take place in Chatham-Kent next week. From Sept. 18 until Sept. 22, the agricultural celebration will take place on Pain Court Line. Several Guinness World Records will be attempted to be broken, including largest egg and spoon race and largest cube structure. The tented city will host more than 500 exhibitors. To commemorate the event, the IPM 2018 Queen of the Furrow Committee is inviting all past Queens of the Furrow to participate in the opening day parade. A float has been arranged for past queens from across the province.